What do Poles owe to Czechs? after a great success of similar threads, I decided to start a new one, but this time not to educate you but to teach myself. to the best of my knowledge, didn`t chiristianity come to poland through chechia in 10 century AD? i haven`t got any pedias right now to corroborate it, but i vaguely remember the polish prince mieszko married some czech king`s daughter called dobrava and thus adopted christianity from czechs who had done it earlier. What do Poles owe to Chechs? žalm - psalm - psalm. Cholera jasna, it was my phone and its frigging net connection! Dobrawa (Dąbrówka) (Czech: Doubravka, Polish: Dobrawa) (ca. 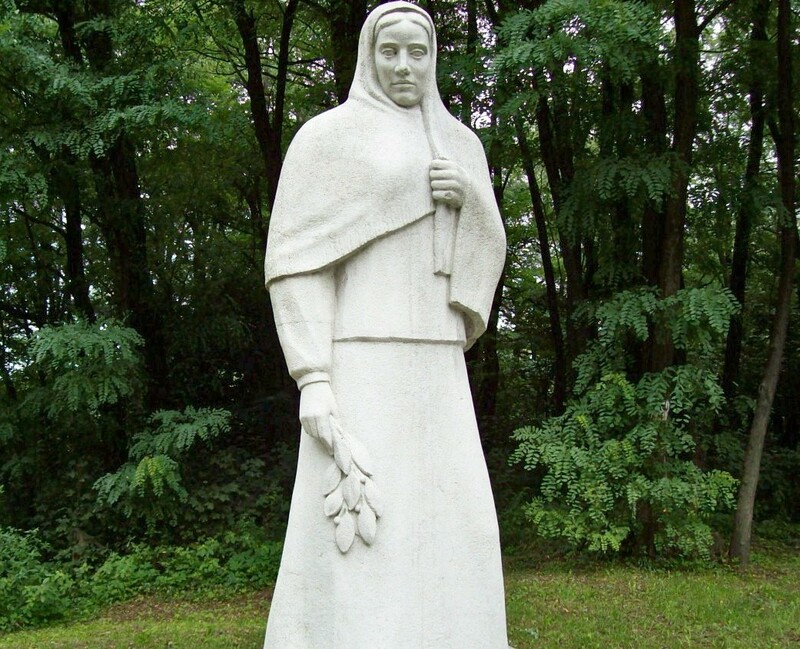 940/45 – 977) was a Bohemian princess of the Přemyslid dynasty and by marriage Duchess of the Polans. She was the daughter of Boleslav I the Cruel, Duke of Bohemia, whose wife may have been the mysterious Biagota. According to earlier sources, Dobrawa urged her husband Mieszko I of Poland to accept baptism in 966, the year after their marriage. Modern historians believe, however, that the change of religion by Mieszko was one of the points discussed in the Polish-Bohemian agreement concluded soon before his marriage with Dobrawa. Her role in his conversion is not considered now to be as important as it is often represented in medieval chronicles. Wow! I didn`t know about it. ????? WHy? We visit Jan Matejko`s house in Krakow on each Long Night of Museums. Some of the implements of war came from Czechia. Two or three words come to mind now, but I am sure that there are many more. The concept of movable wagon forts, comes from the Roman times, but it was reimplemented by Hussites in early 15th c. by their one-eyed commander, Jan Žižka. Their training camp was established at Tabor, southern Bohemia, and since then the word "tabor" entered Polish-Lithuanian military language. The same tactic was later applied by Grand Crown Hetman Jan Amor Tarnowski (1488–1561), a reformer of Polish armies, who used it successfully in his wars against Moldavians and Muscovites. Later on tabor was a basic tactic used by Cossacks. Houfnice, in Polish hufnica (now haubica), translated in German as Haufnitze or Haubitze, from where came the English word howitzer, are also credited to Hussites. Houfnice shot balls under high elevation angle; consequently the path of the balls was steep, and it was to shoot at enemy hidden behind the walls or in trenches. Hussites used to set one to three houfnices on the wagons, perpendicularly to their axis, to defend their "wagon wall". Smaller guns were called píš»ala in Czech, meaning that they were shaped like a pipe or a fife (in Polish piszczałka), from which the English word pistol is possibly derived. Yes. you think about Josef František great soldier of which Czechs and Polish are proud. Sergeant Josef František DFM* (7 October 1914, Otaslavice - 8 October 1940) was a Czech fighter pilot and World War II flying ace who flew for the air forces of Czechoslovakia, Poland and the United Kingdom. He is famous as being the first highest scoring ace in the Battle of Britain. After Czechoslovakia fell under German occupation (15 March 1939) like many other Czechoslovak airmen he escaped to Poland. Most Czechoslovak airmen then left Poland for France before the start of the Second World War, though František decided to stay and serve with the Polish Air Force. During the German invasion of Poland in September 1939, František initially evacuated training aircraft from the air base at Dęblin. He was buried in a Polish military cemetery. He was awarded several decorations, among them the Virtuti Militari 5th class and he was the first foreigner awarded the Distinguished Flying Medal with Bar. I alwys was interested for this hero. Great man. "What do Poles owe to Chechs?" it is maybe too strong word - this owe. I don`t say about owe, but contribution is better to say. What else is know in Česko? Probably it is legend but Wrocław, beautiful city in south Poland started by Czech prince Vratislav 1.
it is also know in Česko about Czech army which liberated with Red army south Poland. 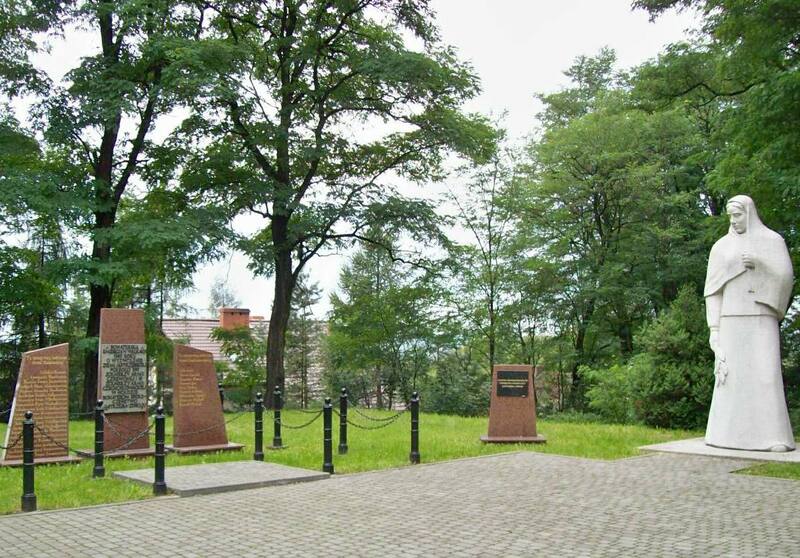 Near Czech Polish border I can visit Polish town with historical cemetery. 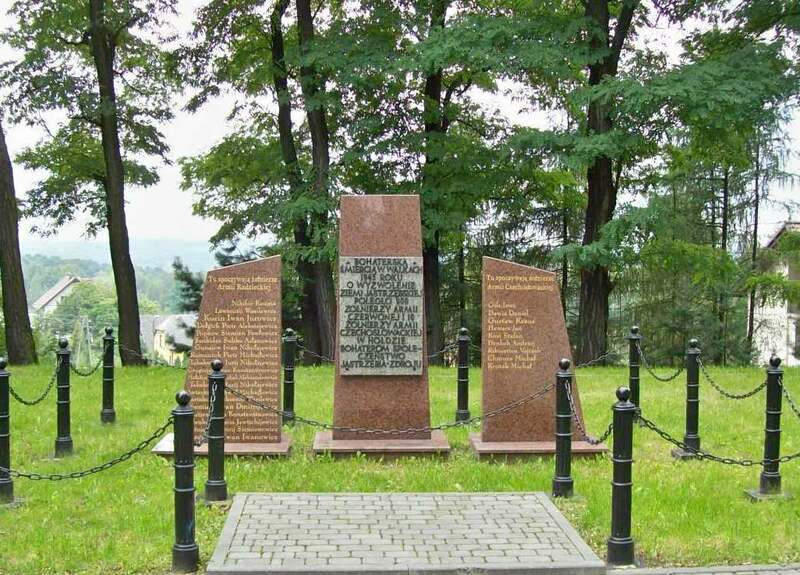 it is for Red army and Czech army soldiers who died from Nazi in 1945.
it is also know in Česko about Czech army which liberated with Red army south Poland. 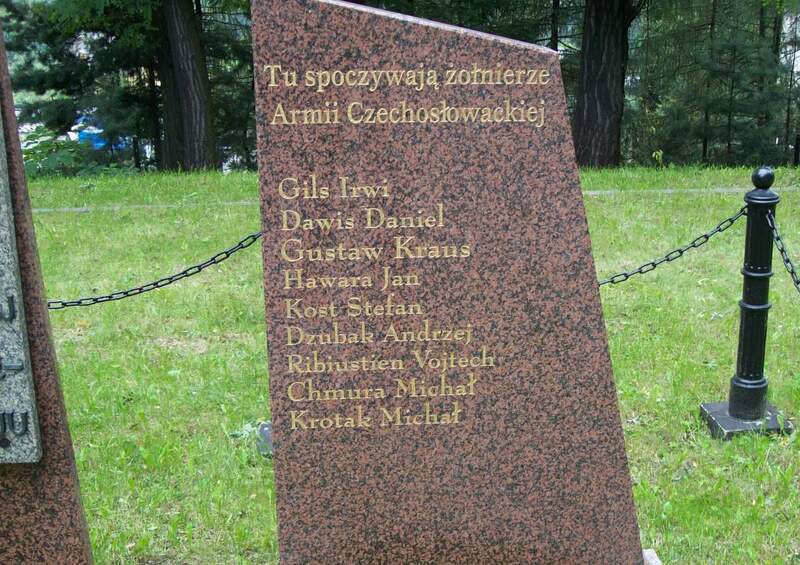 You could write: "Reds and Czechs killed some Germans in the Southern Poland". My both grannies lived under the Occupation, and both said they liked the Germans more, if can call that feeling "likeness", than the reds. One of my grannys remebers when the "Liberation" happened in her village. Firstly they've raped a lot of women in the village and all the men that wanted to defend their wifs were killed as they became the trators (SIC!). Obviously you do not know a lot about the 1945-1948 time in the new "liberated???" Poland, could please read something and then comment? ?, on your place I would start with Norman Davies' "God's Playground"
You'll probably write that if there's a monument then the Russians and those Czechs were good, somewhat the Positive Heeroes? Then no, you see, a lot of monuments you should be taken down all across the country, for once, why should the Polish citizens pay their tax money to keep clean the monument of the Soviet Soldiers? Soviets were always the enemies of the Polish State. all Soviets that fought and died on the Polish soil. They deserve the utmost respect. They gave up their lives, end of story. Stop trolling. I second that. They were not politicians, they were ordinary men and women who were drafted into the army. They deserve the utmost respect. They gave up their lives, end of story. I Sorry but what are you even talking about? Give up their lives? As if they had a choice. As if a fact of being killed make somebody respectful or good or decent! I'm sure there were some decent people who deserved respect regardless being part of the evil empire and the fact that come to enslave not to liberate Poland but so can be said about some German soldiers killed on the Polish soil. They were not politicians, they were ordinary men and women who were drafted into the army. You are only saying this because of your lefty philosophy. What about them? Did every single soldier (including the female ones) do that? Did all of them (or even most of them) stay alive long enough to do that. Put your brain in gear before you open your mouth. Give up their lives? As if they had a choice. It actually makes it much worse for them if they didn't have a choice. The dead have no voice and they cannot defend themselves. It is up to us to behave like human beings. Liberated by the Red Army - is an expression that may be understood differently in Western and Eastern Europe. If the Red Army liberated, say, Poland or Czechoslovakia or Hungary in 1945, this was not the same as the Allies having liberated France, Holland or Belgium. If it was the same, why should the Red Army come again to liberate the Hungarians in 1956 or come to liberate the Czechs in1968, and against which occypying power the Red Army came with fraternal help? For all the (particularly British and Australian) prospective trolls who would come here to say that Poland joined the Red Army in the task of liberating Czechosloviakia of the dangers of the Prague Spring, I shall remind them that all Warsaw Pact members, with the exception of Romania, joined the Red Army in this action. In the eyes of those trolls, the countries of Eastern and Central Europe would certainly have enjoyed the same level of soverignity as the countries of Western Europe not having the chance to be liberated by the Red Army as the result of the Second World War. If you mean liberate as "get ready of the Germans" than yes, it was exactly the same thing. Remember that at the time, the USSR belonged to the Allies. And the Allies would not have made it without the USSR. Try to be realistic. What happened next is a completely different story. And if you want to talk about what happened next, why not spare a thought for all those Russian soldiers who made it to Berlin and then were herded back to Russia and fed into the Gulag system? When you think about it, Poland has quite the terrible history with the Czechs - two invasions within 30 years! I'm certainly not sure what Poland gained by the invasion - though if I recall rightly, Jaruzelski was already in charge of the army at that point, which goes a long way to explain things. Worth pointing out though - Poland may have assisted in the 1968 invasion, but to her credit, took little to no part in the subsequent occupation as far as I know. The dead have no voice and they cannot defend themselves. It is up to us to behave like human beings. Exactly, 27 million dead...not going to be crass and compare it to 3 million dead......oh,wait,I just did. Thats not patriotism,thats nothing more than scum sucking animals acting like trash. Quite so. Real patriots would work for their country, rather than vandalising monuments to the dead. .Put your brain in gear before you open your mouth. Instead try answering the accusation. Would that be to hard? Would it just show you are not half as clever as you like to think you are? We have the graves of Luftwaffe bomber crews in the UK, they are all treated with respect. The Dead have paid the ultimate sacrifice or ultimate penalty depending on your point of view,for that,leave them alone. I wonder if these pathetic *polish patriots* are the same type who attack russian football fans and blame them for katyn....pathetic. Besides, Poland invaded Russia plenty of times...thery have just as much *right* to hate Poles as vice versa,but maybe they just dont have the same chip on the shoulder/inferiority complex as the average *polish patriot*? Still no answers to the questions put to you? If not then maybe you are right for once,there is no point in you continued input if you dont actually have anything to say. Remember that at the time, the USSR belonged to the Allies. And the Allies would not have made it without the USSR. The Soviets payed the highest death toll in WW2, that's for sure, but don't forget with or without Soviet help the USA would have developed the atom bomb anyway! The bomb was ready in August 1945 and hadn't the war with Germany be over for three months already, the Americans would have dropped the bomb over Mannheim. And then they could have dropped another bomb over Dresden, then over Wiesbaden and other still undestroyed German cities and the war would have been over soon! Exactly. Criticise the living as much as you want, but leave graveyards alone. Exactly the same ones. They're also so patriotic that they do lots of community service, such as sitting outside the shop and drinking beer. Wouldn't it be better to do a day of volunteering on August 1st? Nah...doesn't draw attention to themselves. Home / History / What do Poles owe to Czechs?